For every "naughty" person on your gift list. These anise scented soaps are the perfect stocking stuffer, gag gift for a holiday party or a perfect additional to your holiday craft table. 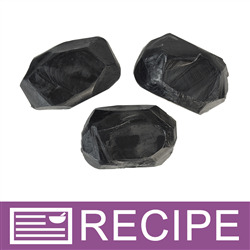 With the added charcoal for color, these also make a great facial bar, with or without fragrance. (6) 1 Piece Burlap Bag with Drawstring - 5" x 6"
• 6 Piece(s) Burlap Bag with Drawstring - 5" x 6"
To large microwave-safe measuring cup, add cut up clear soap base. Heat in microwave in 30 second increments until soap has melted. 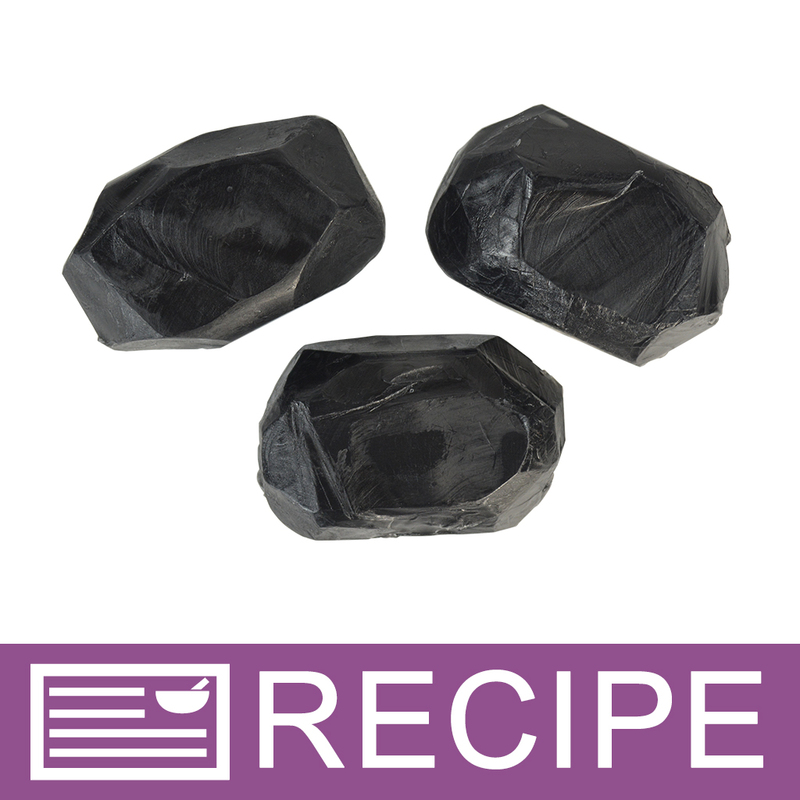 To plastic beaker, add essential oil and scoops of charcoal and mix well until charcoal is completely blended in. Add to melted soap and blend well. Pour soap into cavities of both soap molds and spritz tops with alcohol. Let soap harden. Can be placed in freezer for 30-45 minutes to speed up the process. Remove soaps from mold. Using a soap cutter, carefully cut edges at an angle on front and back of bars until it resembles a block of coal. Each bar will be different and unique. Shavings can be saved for another project. 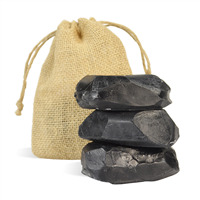 Wrap soap in plastic wrap and place one lump of coal into a burlap bag. Finish with a hang tag if desired. Ingredient Label: Sorbitol, Coconut Oil, Propylene Glycol, Stearic Acid, Water, Sodium Hydroxide, Glycerin, Activated Carbon, Anise Essential Oil. "What do you recommend that the retail cost be for these?" Staff Answer It depends on your area and the weight of the bars. In this area we can get $5 a bar.